To ride a motorcycle is a dream of many. Despite the fact that this type of transport is considered to be one of the most dangerous, every year dozens of people come in motor school. Actually to pass on the right on a motorcycle is not so difficult. Very often the word "motorcycle" is synonymous with the word "dream". The image of free king of the road, the adventurer and the favorite of fortune dominates the minds and boys, and girls. Sale in MOTOBIKE salon is growing each year, the same thing happens in the secondary market - in the "season" the machine is snapped up almost instantly, despite sometimes inflated prices. But to enjoy the riding on the track, will need relevant documents: law of category "A", insurance, certificate of passing inspection. To open a category "A" is not the problem. In any city, there are motor school (often on the basis of the driving schools) that prepare students to pass theory and practices in the SAI. 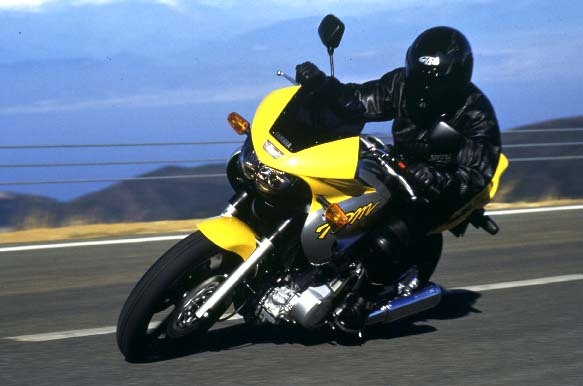 To pass on the right on a motorcycle, the student must take the course theoretical studies (signs, traffic rules, etc.) and to skate a certain number of hours. During this time, he needs to learn how to perform basic exercises on the ground: "snake", "overall eight", "Board", "dispersal-braking" to learn "sign language". Passing on the right category "A" occurs in the traffic police. The student passes a medical examination, receive an assessment, pay the state duty and sent to the office on the surrender theory. In the first stage, he can be allowed or not allowed to surrender". If the theory is delivered successfully, the student goes to take the driving test. The inspector evaluates the correct execution of all exercises, the number of attempts, knowledge of sign language, on the basis of which a decision is made about passed the apprentice exam. If the "platform" put the student after a few days may be in the traffic police Department to obtain their rights. For a fee you have the right to pass driving on the motorcycle, which was trained in the..
Before the delivery of the "site" additionally be trained to perform the exercises.